Once EPIC begins regular observations in September, NASA will post daily color images of Earth to a dedicated public website. These images, showing different views of the planet as it rotates through the day, will be available 12 to 36 hours after they are acquired. Earth as seen on July 6, 2015 from a distance of one million miles by a NASA scientific camera aboard the Deep Space Climate Observatory spacecraft. 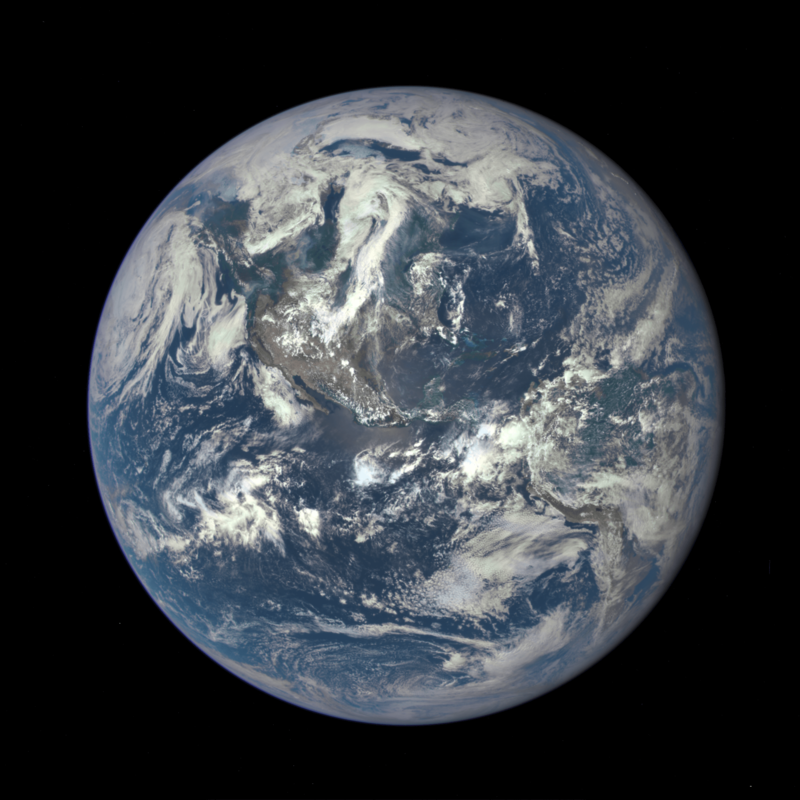 NASA recently released the first view of the entire sunlit side of the Earth as imaged by the DSCOVR satellite from one million miles away. 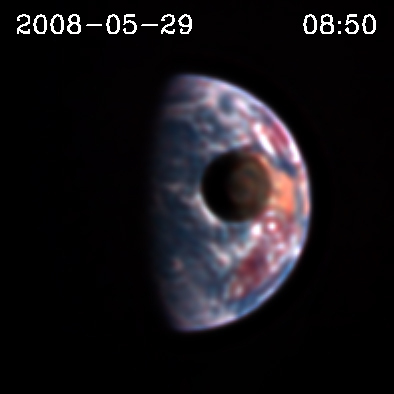 These initial Earth images show the effects of sunlight scattered by air molecules, giving the images a characteristic bluish tint. The EPIC team now is working on a rendering of these images that emphasizes land features and removes this atmospheric effect. “These new views of the Earth, a result of the great partnership between NOAA, the U.S. Air Force, and NASA, give us an important perspective of the true global nature of our spaceship Earth,” said John Grunsfeld, associate administrator of the Science Mission Directorate at NASA Headquarters in Washington. The satellite was launched in February and recently reached its planned orbit at the first Lagrange point or L1, about one million miles from Earth toward the Sun. It’s from that unique vantage point that the EPIC instrument is acquiring science quality images of the entire sunlit face of Earth. Data from EPIC will be used to measure ozone and aerosol levels in Earth’s atmosphere, cloud height, vegetation properties and the ultraviolet reflectivity of Earth. NASA will use this data for a number of Earth science applications, including dust and volcanic ash maps of the entire planet. In addition to space weather instruments, DSCOVR carries a second NASA sensor — the National Institute of Science and Technology Advanced Radiometer (NISTAR). Data from the NASA science instruments will be processed at the agency’s DSCOVR Science Operations Center in Greenbelt, Maryland. This data will be archived and distributed by the Atmospheric Science Data Center at NASA’s Langley Research Center in Hampton, Virginia. The Air Force provided the Space X Falcon 9 rocket for the mission. NOAA operates DSCOVR from its Satellite Operations Facility in Suitland, Maryland, and processes the space weather data at its Space Weather Prediction Center in Boulder, Colorado. NASA will use this long-distance vantage point of space to increase understanding of our home planet. The data will be used to develop new ways to observe and study Earth’s interconnected natural systems with long-term data records.